Animal models have been successfully developed to mimic and study alcoholism. These models have the unique feature of allowing the researcher to control for the genetic characteristics of the animal, alcohol exposure and environment. Moreover, these animal models allow pharmacological, neurochemical and behavioral manipulations otherwise impossible. 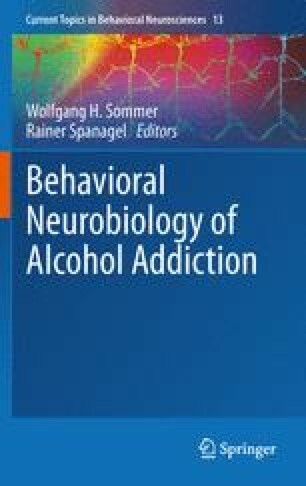 Unquestionably, one of the major contributions to the understanding of the neurobiological basis of alcoholism comes from data that have been obtained from the study of genetically selected alcohol preferring rat lines and from the consequences that alcohol drinking and environmental manipulations, (i.e., protracted alcohol drinking, intoxication, exposure to stress, etc.) have on them. In fact, if on the one hand genetic factors may account for about 50–60% of the risk of developing alcohol dependence, on the other hand protracted alcohol exposure is a necessary precondition to actually develop the disease, while environmental vulnerability factors may be crucial for disease progression. The present article will offer an overview of the different genetically selected alcohol preferring rat lines developed and used to study alcoholism. The predictive, face and construct validity of these animal models and the translational significance of findings achieved through their use will be critically discussed. I would like to thank Christopher Oleata for assistance with manuscript preparation. This work was supported by National Institute of Alcohol Abuse and Alcoholism Grant Nos: AA014351 and AA017447.